Fortescue Metals Group has greenlit the second stage of the Iron Bridge magnetite project in Western Australia. 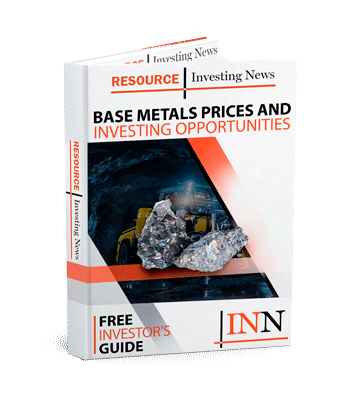 Fortescue Metals Group (FMG) (ASX:FMG,OTCQX:FSUGY) has greenlit the second stage of the Iron Bridge magnetite project in Western Australia, which is set to cost a whopping US$2.6 billion. The fresh approval covers the development of Iron Bridge’s second stage, which comes after the successful US$500 million construction of Stage 1’s large-scale pilot and demonstration plants. Through their construction, key equipment and magnetite production processes were validated for Stage 2’s full-scale ore-processing facility. Upon reaching full operational capacity, Iron Bridge is docketed to put out 22 million wet metric tonnes per year, allowing it to produce a 67 percent iron concentrate product. First ore is planned for 2022’s first half, with ramp up to full production set to take place within 12 months. The project holds a mineral resource of 5.45 billion tonnes and an ore reserve of 716 million tonnes, and has a mine life of over 20 years. “The Iron Bridge project holds Australia’s largest JORC compliant magnetite resource supporting a long mine life. The successful delivery of the project by the joint venture partners is underpinned by Fortescue’s unparalleled track record and capability in safely developing and operating major iron ore projects in the Pilbara,” Fortescue CEO Elizabeth Gaines said in a statement. The massive magnetite project is an unincorporated joint venture between FMG Iron Bridge at 69 percent and Formosa Steel at 31 percent. According to Fortescue, FMG Iron Bridge is required to contribute US$2.1 billion to the asset, inclusive of US$274 million in deferred contributions from Stage 1. Meanwhile, Fortescue will manage and operate the project with full marketing rights. Funding for the project will come from a combination of project debt and shareholder contributions; the company already has five binding offtake agreements for 5.3 million tonnes per year from the asset. As of 4:53 a.m. EDT, iron ore had climbed 2.88 percent to trade at US$92.15 per tonne. Fortescue shares grew 1.83 percent and closed at AU$7.79 on the ASX on Wednesday (April 3).